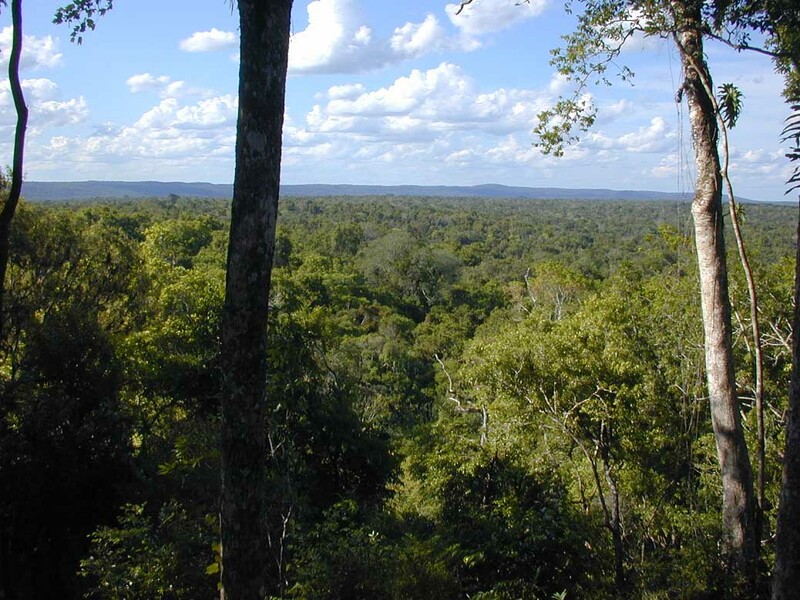 The ancient city of Holmul is located in northeastern Guatemala in the Peten rainforest. The nearby archaeologists camp has permentent guards and is equipped with kitchen, outhouses and showers for visitors and campers. 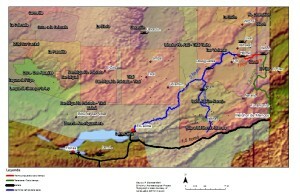 This map shows the access routes to Holmul from Lake Peten Itza (El Remate) and from Melchor de Mencos and nearby helicopter landing areas. These are the 4×4 vehicles that can take you to Holmul. It is a jungle safari adventure. 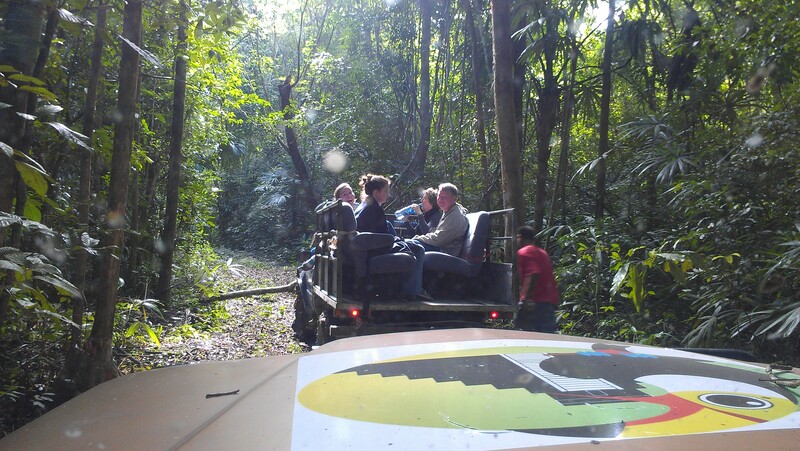 The vehicles are well equipped and the drivers are experts in navigating the trecherous jungle trails. The trails to Holmul are unmarked which makes having a local guide a real necessity. 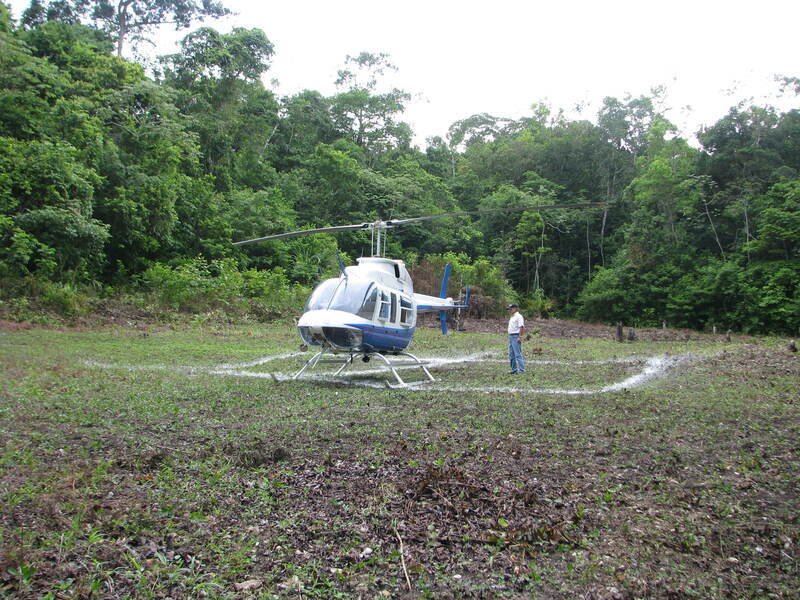 And this is a view of the helipad at Holmul. 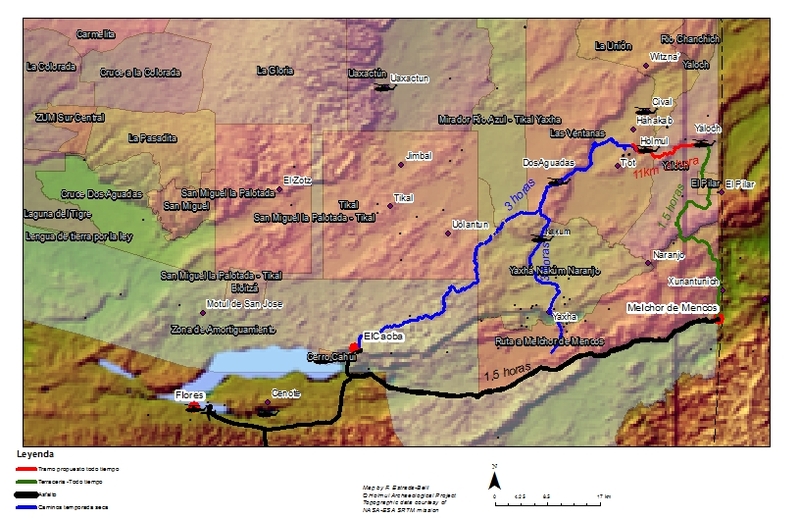 The landing is located 4 km from the site. So a hike up the hill is included unless vehicles are available with the helicopter option.